Scottish music and sport radio station RockSport has promised to resume normal programmes by the end of next week and return to DAB by the end of March. The station ceased broadcasting on DAB digital radio across Central Scotland earlier in the week, but continues to play music via TuneIn and the RocksSport App. In a post on social media, the station was optimistic that normal programmes would resume by 12th March, but said it would post further updates on its website and social media platforms. Small-scale DAB operator Solent Wireless is offering another station the chance to join its multiplex serving Portsmouth. Ash Elford from Solent Wireless told a516digital that the available capacity is for a station to broadcast in the new DAB+ standard. There are currently four DAB+ stations broadcasting to Portsmouth, including Radio Caroline and Indulgence. Interested broadcasters have until midday on Tuesday 8th March to email info@solentwireless.com and express their interest. The multiplex is one of ten taking part in a trial into low-cost local digital radio broadcasts organised by Ofcom. Earlier this week Ofcom confirmed it was seeking to extend the trial licence period to two years; the trial was originally only due to last nine months. A coverage map of the Solent Wireless multiplex is available here. 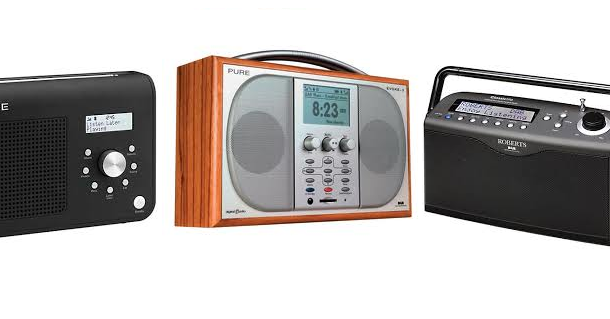 Listeners have noticed changes to some DAB stations this week ahead of the imminent migration of stations including Absolute 80s, Planet Rock and heat radio to the new Sound Digital (SDL) National multiplex. Versions of the stations about to be switched off have been relabelled with various pre and suffixes, including "Absolute 80s Old" and "ZHeat Radio". However around a quarter of the UK won't be able to receive the services on the new multiplex. And listeners who can't find the new versions of the stations on their DAB lists are already complaining on social media. East Anglia and South West England are among the areas affected, with transmitters broadcasting the new service located no further east than Peterborough, Sandy Heath (Beds) and Danbury (Central Essex), leaving most of Norfolk and Suffolk without a signal. In South West England, there are no transmitters south west of Somerset. Sound Digital will launch with 45 transmitters across the UK serving around 75% of the country, although further transmitter sites are cleared for use, including in East Anglia and SW England. The multiplex was always intended to have less coverage than the current Digital One multiplex, which reaches around 90% of the UK. Broadly, the new multiplex is available in areas that previously had regional DAB services (London, North East, North West, Severn Estuary, West Midlands, Yorkshire), plus a few additional areas such as the East Midlands, parts of Kent, parts of Northern Ireland and central Scotland from Ayr in the west across to Tayside in the east. As Sound Digital broadcasts outside the standard tuning range of older DAB radios, some listeners may have to initiate a "rest of world" or full auto scan to get the new stations.